The Powrtouch Classic caravan mover delivers the simplicity and reliability, the freedom to move your caravan at the touch of a button. 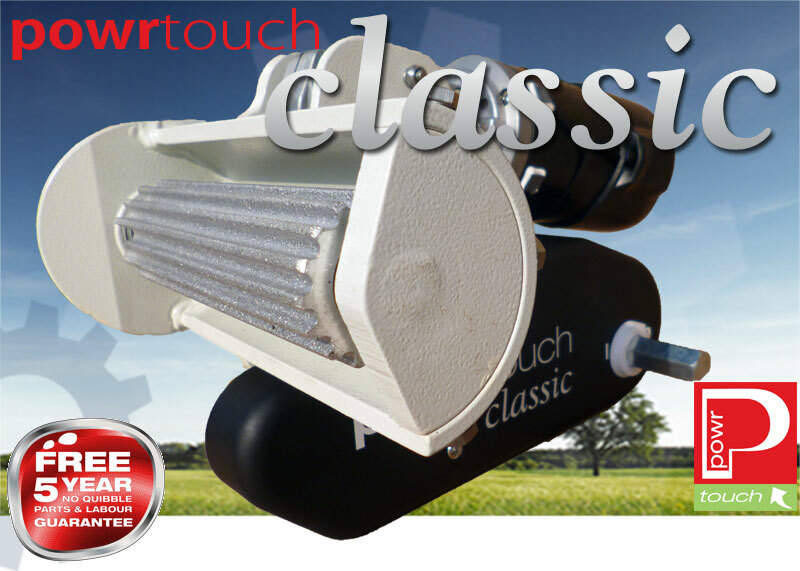 The Classic is backed by the Powrtouch legenday five year no quibble guarantee. The Powrtouch Classic delivers proven reliability and outstanding value from one of the top caravan mover manufacturers. The Classic caravan mover has a slim line gear box, this will fit caravans with shock absorbers, this Classic has a high torque motor that will move a 1500kg caravan up a 1 in 4 slope (under ideal conditions). On flatter surfaces the classic is able to move over 2000kg. The lightweight aluminium rollers provide excellent grip and durability. For the DIY caravanner full DIY fitting instructions are available, or we can fit the Classic at your home of storage location. Fitting of the Powrtouch Classic to the caravan does NOT require any welding or drilling of the chassis. The Classic's soft start feature allows millimetre precision control and the fluid movement control allows you complete freedom to change direction without stopping. Braking is immediate and occurs the moment your finger is removed from the selected button. Full Soft Start - offer millimetre control of position. 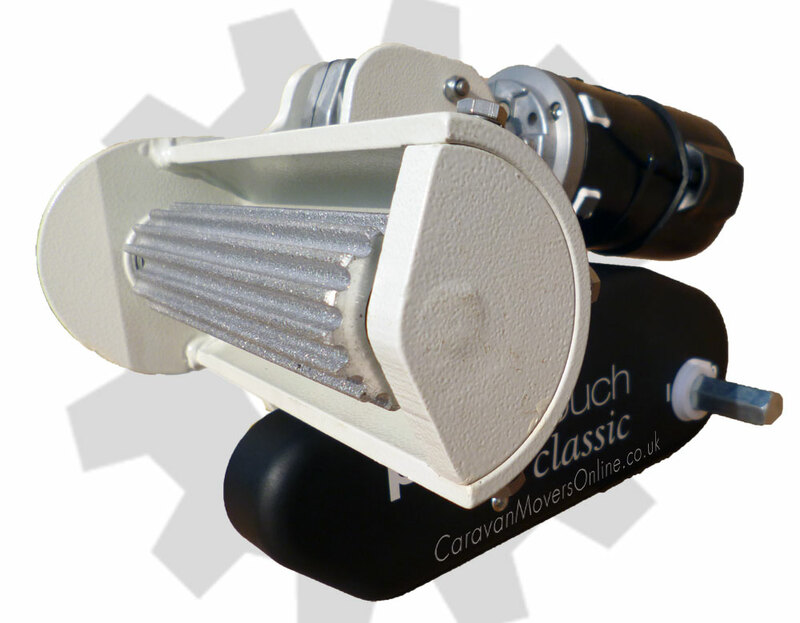 Powrbar cross actuation system (optional) to enable engagement of rollers from one side. Speed 25 cm per sec. Don't want to fit your PowrTouch caravan mover yourself? No problem! It can be fitted at your home by our professional fitters.